Thanks. I often walk by this church, and have often wondered about it. It certainly stands out in the neighborhood. Thanks for the nice pictures. Roma Fortune was my great grandfather. As a youngster, I attended many services in this little church. The services were conducted in sign language, including the choir "music". When we attended, Uncle Jim (Roma's son) would both sign and speak the service so we could all understand it. The floor was stone, and the kneeling pads very thin! Roma's descendents have held a reunion on Labor Day weekend for 68 years - many in Durham. We always ate at the "Little Acorn" near the church. Roma had 7 children, all hearing. He was from the mountains of North Carolina, near the village of Old Fort. He attended the NC School for the Deaf in Morganton, where he met his future wife, Elsie Carter (also deaf). It was said in the family that they moved to Durham because of the large deaf community there. Supposedly, the mills in Durham liked to hire deaf workers because the noise of the mill machinery didn't bother them, and they were all very good workers. Thank you so much for your comment/additional information about your grandfather and the church. I hope you saw the post about the Little Acorn as well. I'm a snior pastor in the ehphatha church in kampala uganda I need to share with you and to be your freind God bless you all you have done. I saw on loopnet that the property was recently sold. Does anyone know what it will be turned into? A fascinating bit of relative uniqueness surrounds the handsome but otherwise unremarkable church at the northeast corner of West Geer and North Streets. 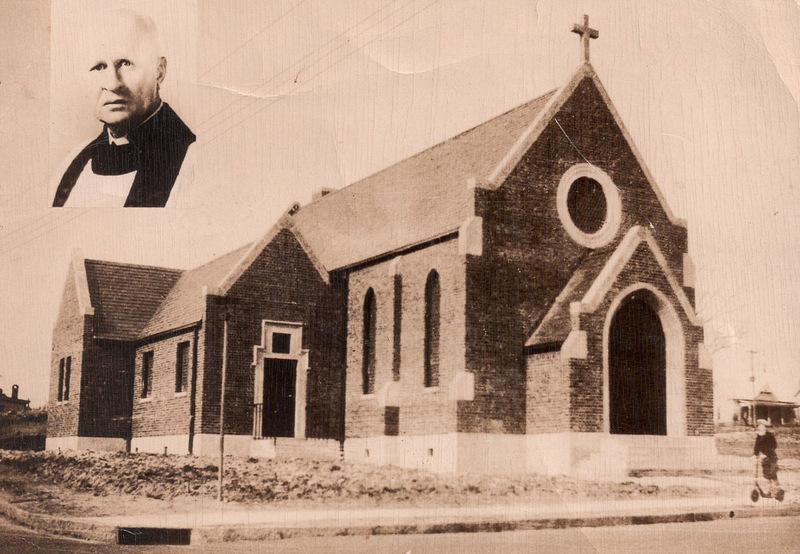 When constructed in 1930, the Gothic Revival church was one of only four in the country exclusively for deaf worshipers; services were conducted entirely in American Sign Language. The historic inventory recounts how the church came to be. 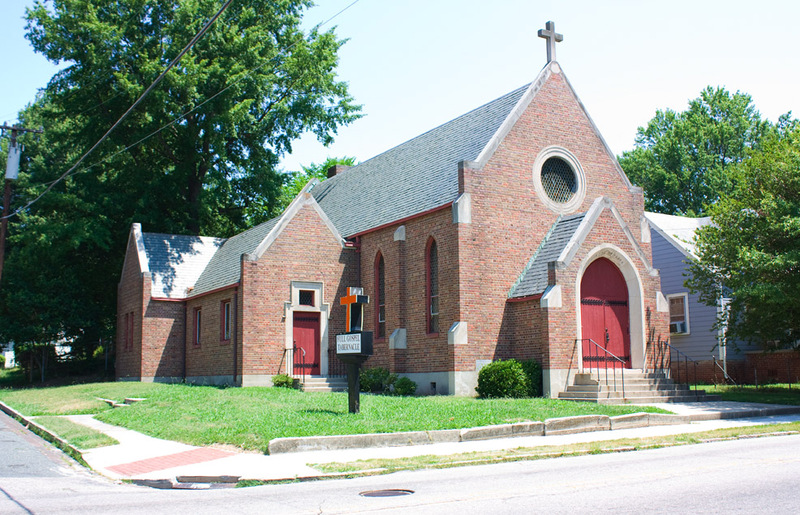 When Reverend Oliver Whidlin, a minister who worked with impaired-hearing worshipers in Baltimore, came to give an ASL sermon at St. Philip's Episcopal in 1906, the response was so strong that Rev. Bost of St. Philip's organized special ASL Sunday School classes. Interest remained strong, and the classes met Sunday afternoons at St. Philip's for 20 years ("ably assisted by Mrs. Robina Tillinghast and Roma C. Fortune.) In 1926, Bost commenced a fund-raising drive to build a church that would conduct business in sign language. 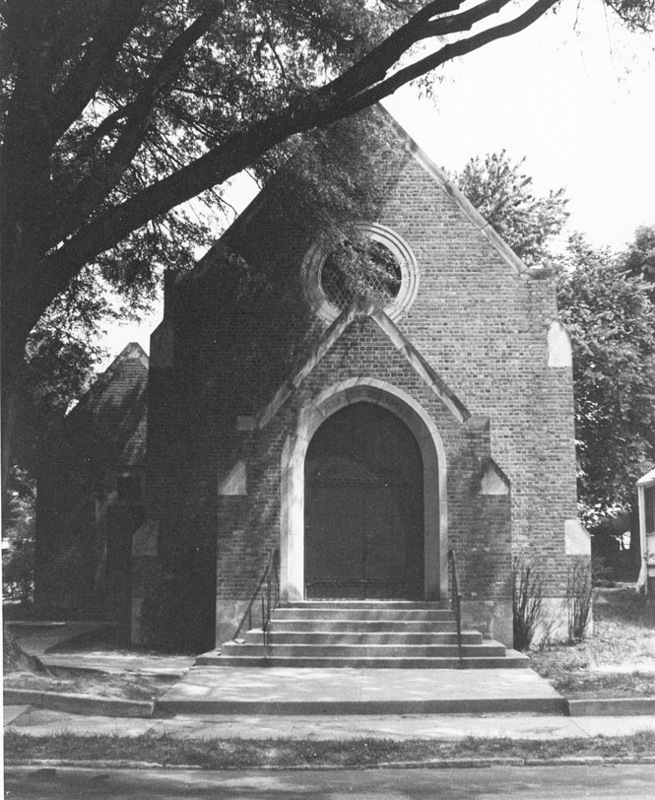 By 1930, the cornerstone for the George Watts Carr, Sr.-designed church was laid, and services began in May 1931. Rev. Roma Fortune, himself hearing-impaired, served as the first rector of the church, and was succeeded by his son, James Fortune; both served as ministers to the deaf throughout North Carolina. James was still rector of the church in 1977, when the church ceased to operate in this building. It appears to now house the "Full Gospel Tabernacle". Thanks for the nice pictures.